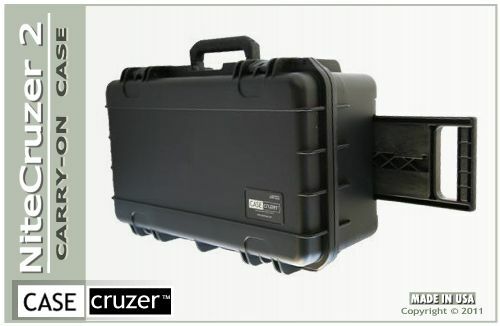 This adaptable laptop carrying case solves fear-of-flying dilemma for professionals with delicate digital equipment. 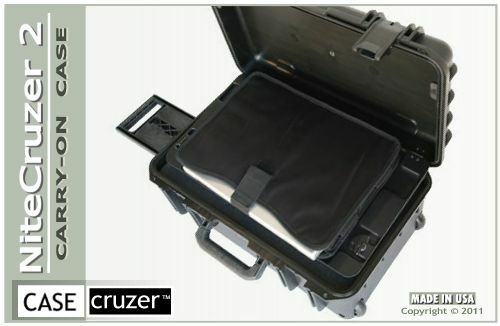 CaseCruzer Upgrades Laptop Carry-on Travel to First Class with NiteCruzer II. 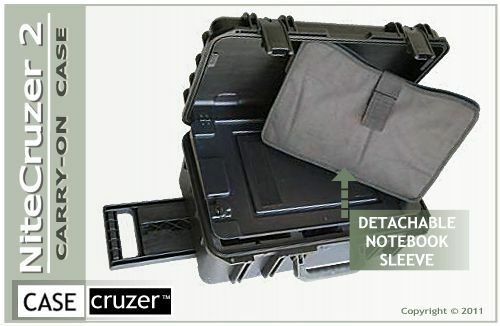 The NiteCruzer II laptop case expands its storage capability to handle most 13- to 17-inch laptops. An interior door in the lid opens with the mere twist of a latch. This allows travelers to slide laptops into a universal sleeve that can be attached and detached to the interior door with Velcro. Priceless presentations and other data are safe from shock, awe and the occasional tipsy travel companion. 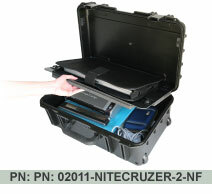 Be advised NiteCruzer II is not intended to be used as a shipping case or check-in luggage. 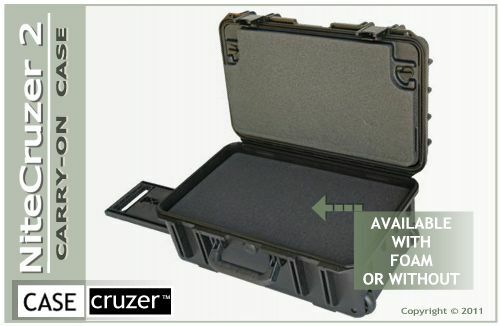 Visit CaseCruzer.com for many field-tested, heavy-duty protection carrying case solutions. Carrying case for Apple iMac 27 inch designed for Trade-show exhibitors, media, motion picture and graphic-art professionals. 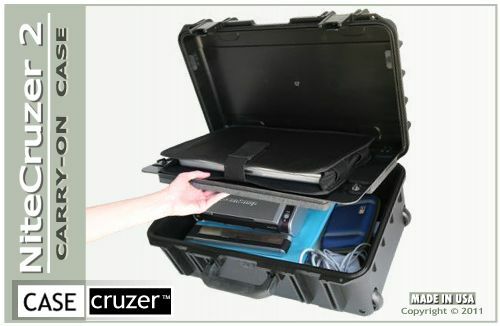 Universal Laptop Carrying Case holds one laptop with room for accessories.